Microsoft's response to last week's Sony PS4 launch may come as soon as April with the launch of the new Xbox console, reports have claimed. Our sister site CVG has revealed that word from its games industry and developer sources equates to a standalone launch event prior to the traditional E3 gaming expo in May. However, according to CVG, we could hear the first official comments on how the next-gen Xbox will take shape if Microsoft decides to attend the Game Developers Conference in March. One senior Sony official, who did not wish to be named, claimed Sony had "ruffled some feathers" at Microsoft with its next-gen pitch and was another to lend his voice to the possibility of an April riposte. CVG's report also revealed that a Microsoft PR partner, which has worked with the company on previous launches, has registered the domain name XboxEvents.com. Make of that what you will. 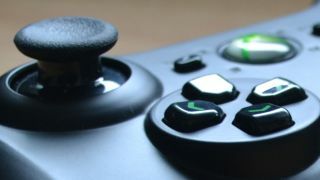 If Microsoft does unveil the next-generation Xbox in April it is highly unlikely that we'd see a repeat of the hardware no show, which somewhat overshadowed Sony's two-hour launch event in New York. Shortly after the PS4 event Microsoft's director of programming for Xbox Live Larry Helb (aka Major Nelson) mocked his company's great gaming rival for not showcasing the goods. He tweeted: "Announce a console without actually showing a console? That's one approach"
On Friday PlayStation's US boss Jack Tretton assured that the physical incarnation of the PS4 will be showcased at E3 or sooner. Could it be timed to coincide with Microsoft's big reveal?